As we enter the Christmas season and the end of 2014 we want to thank you for the support you have provided to Hope Teams and more importantly the orphans during this past year. This has been a year of significant changes for Hope Teams. Cindy Larvick transitioned into the role of Executive Director in February. For many years our offices were at Hope House and we now occupy space at Valley View Church. Additionally, we have new faces on the Board. The Board is enthusiastic about the future of Hope Teams as we continue Jack O&apos;Neill&apos;s vision of supporting orphans around the world. In the past, Hope Teams has relied primarily on the annual banquet to raise the majority of funds for the administrative costs. In this coming year we have decided to change our support plan. 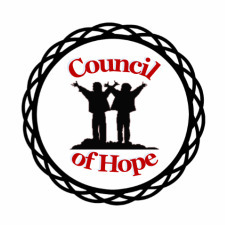 We are looking for a core group of donors to commit to a minimum of $100 each month to join our "Council of Hope." These funds will go directly to support our base costs of running the organization and will free up additional raised funds for supporting orphans. Please consider joining our Council of Hope and make a difference in the life of orphans.